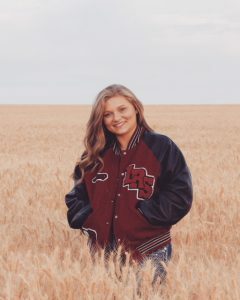 Two new high school seniors have been selected to represent Washington wheat farmers as ambassadors for the upcoming year: Lacey Miller of Ritzville and Evan Henning of Thornton. Miller and Henning were selected after a written application process that included submitting a short introductory video. The ambassadors will represent Washington wheat farmers at various civic and community events and will also participate in an advocacy trip to Olympia with Washington Association of Wheat Growers’ (WAWG) leaders. In addition, the ambassadors will each receive a scholarship from the Washington Wheat Foundation. Those scholarships were awarded at the WAWG annual awards banquet during the Tri-State Grain Growers Convention, with Henning receiving a $2,500 scholarship and Miller receiving a $2,000 scholarship. For the past few years, Miller has been waiting for her shot as an ambassador. She knew about the program thanks to her attendance at previous conventions and went to school with a Ritzville-raised former wheat ambassador. “I’m looking to learn about the different sides of agriculture. We get to travel to Olympia, so that’s going to be exciting. I know some of it because of my dad (Washington Grain Commissioner Mike Miller), but I’m excited to have my own experience with it. I want to see the business side of agriculture, and how it all connects or could better connect,” Miller said. From a very young age, Miller has been involved in various aspects of her family’s multigenerational farm. She helps with harvest and runs the strip trials and test plots on her family’s land. Besides her farmwork, Miller is also active in numerous school and community activities, not to mention competing in three varsity sports. She is active in FFA, honor society, community volunteer projects and is a running-start student at Eastern Washington University. After high school, Miller plans to earn a degree in marketing and agricultural communications. She is hoping to get a head start on that degree when she heads over to Olympia with WAWG in January. With a new crop of legislators, many of whom have very little agricultural knowledge, she’s looking forward to educating them, especially from a younger person’s point of view. Lacey is the daughter of Marchelle and Mike Miller. The multi-generational family farm is located outside of Ritzville. Henning is counting on the wheat ambassador program helping him to develop skills he wouldn’t necessarily get to practice while working on his family’s multigeneration farm, such as public speaking and advocating for agriculture. 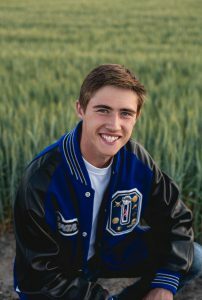 After high school, he is planning to continue his education in an ag-related field, such as agricultural technology, and then return to his family’s farm. He first learned about the wheat ambassador program from his ag teacher at Oakesdale High School. “I love working on the farm. It’s a passion of mine. It’s something I really enjoy, going out there. I rod-weed all the time. I work a full harvest where I drive truck and bank-out. I just love it. It’s a lifestyle,” he said. 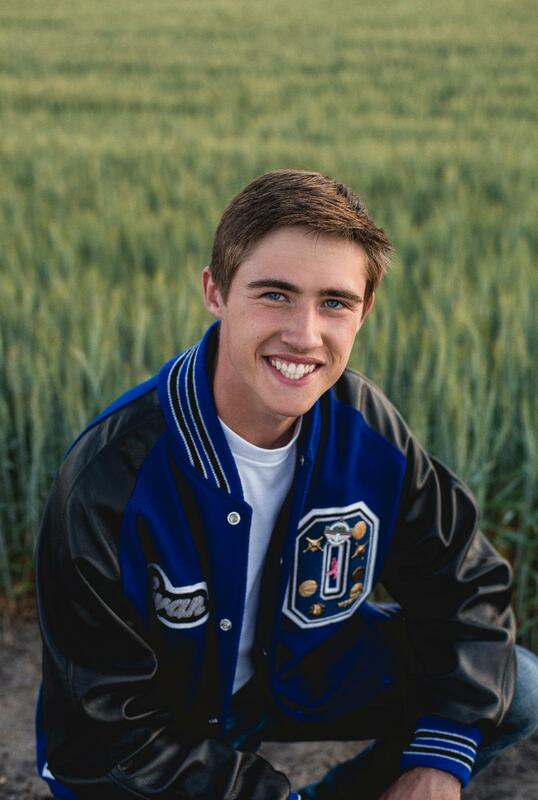 Besides his work on the farm, Henning is very active in school and community activities, including playing three varsity sports, FFA, honor society, drama club and band. He also has a passion for metal art and may incorporate that into his college plans. Henning said he is looking forward to his Olympia trip because he’ll be able to talk to legislators about something he loves and is passionate about, especially if those legislators are unfamiliar with agriculture. Evan is the son of Steven and Heidi Henning and their multi-generation family farm is near Thornton. Applications for the 2019/20 Washington Wheat Ambassador Program will be available this summer. Students who will be entering their senior year of high school are eligible to apply. The program offers leadership and advocacy opportunities within the wheat industry, and scholarships are also available.